were awarded their diplomas in the RAI conference hall. We sincerely congratulate our bachelors with completion of their studies and wish them success in their careers! Working visit of the General Director of the "Kazaeronavigatsiya"
In the period from February 18 to February 21, Azat Bekturov, General Director of the “Kazaeronavigation” visited the flight school “Pelican Flight Training”. 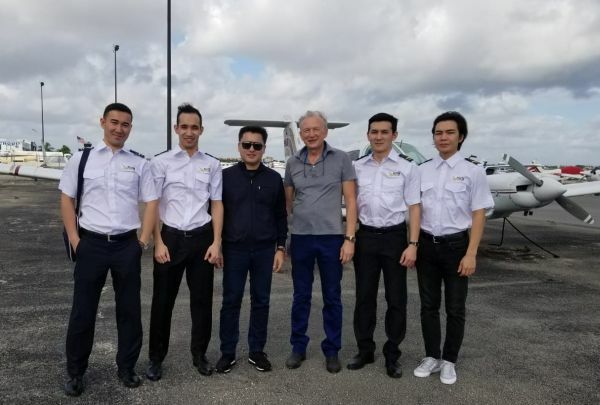 During the visit, Azat Bekturov had the opportunity to familiarize himself in detail with the students' flight practice procedures, the newest training equipment and other important elements of the training process. Representatives of the school demonstrated the aircraft and helicopter fleet as well as hangars used for the preparation and training of aviation specialists. RAI expresses its appreciation and gratitude to the RSE "Kazaeronavigatsiya" for visiting our branch. Completion of the course "Profession of today"
On the 10th of January we have convened the final training session of the course "Profession of today". During the course participants noted the possibilities of RAI studios, also visited the airport "Riga". 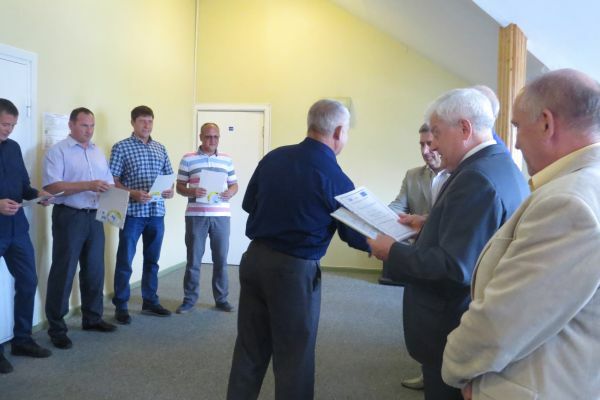 Upon the completion of the course each of the participants received a certificate which gives the advantages for the enrollment in RAI. 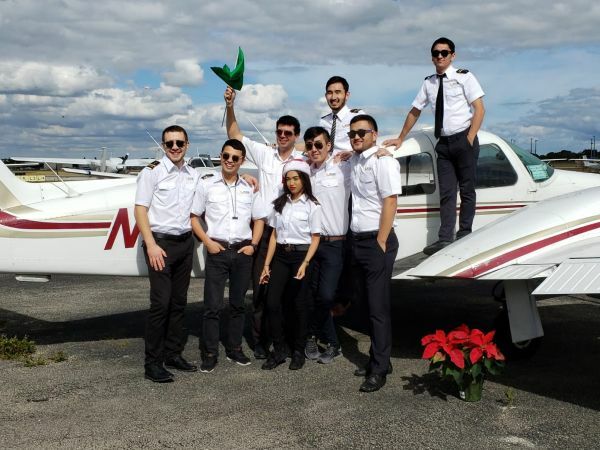 Group of students which in the future are planning to become Kazaeronavigatsia air traffic controllers have started their flight practice in RAI branch in Miami, Pelican Flight Training school. In accordance with the approved program our cadets have the possibility to study and understand all the stages of the flight operation, to conduct radio communication in the English language and to get an idea about complex emergency situations which the flight crew can face in the process of flight. We wish them an interesting and action-packed practice! On the 15th of December Riga Riga Aeronautical Institute organized a special event dedicated to final results of 2018. 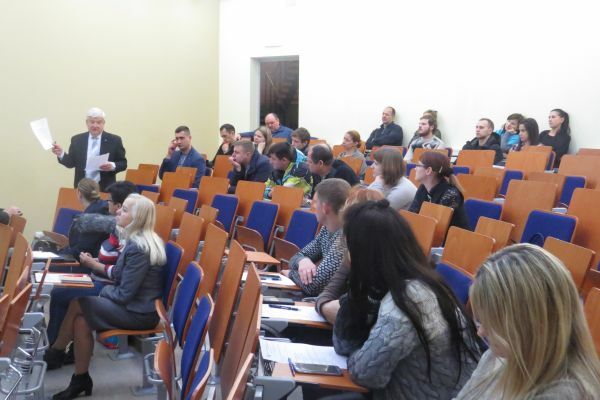 This event included meeting with employers, Latgale branch session and open door day for future candidates. RAI management and academic personnel congradulated the students with the oncoming New Year of 2019 and wished everybody creative mood, intellectual curiosity and assiduity! 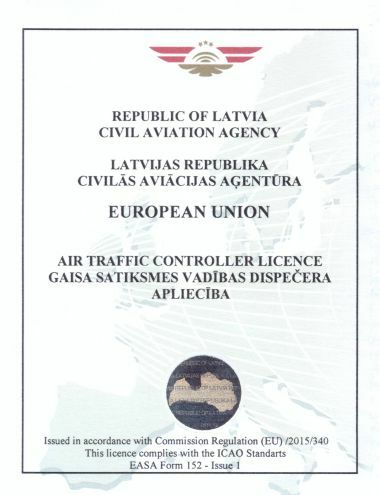 Riga Aeronautical Institute congratulates everyone with the Day of Civil Aviation! We wish everybody easy take-off, comfortable flights and smooth landings! 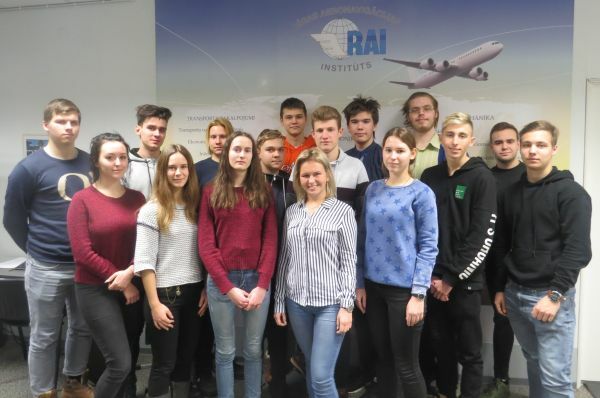 The courses for students "Current Profession"
Currently Riga Aeronautical Institute is conducting the courses for students "Current Profession". 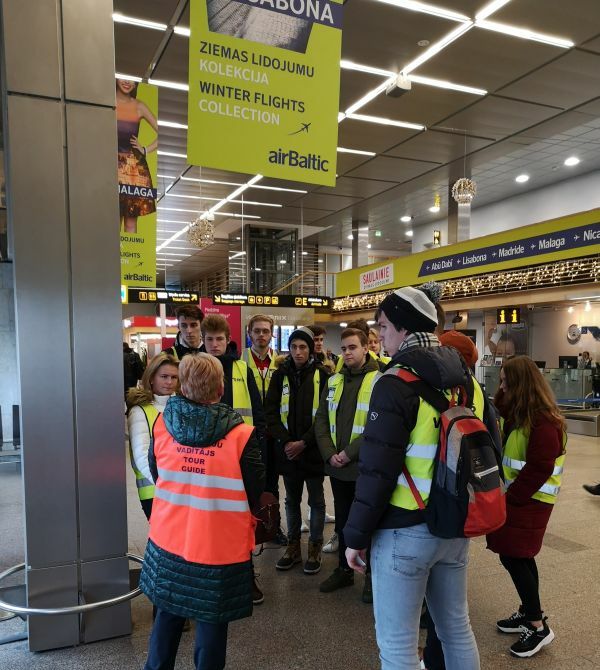 In the frame of the training programme the course participants visited Riga International Airport. They got acquainted with the structure and functions of the airport and also met with the representatives of different departments of the airport responsible for providing flight safety, continuous airport operations and passenger service. 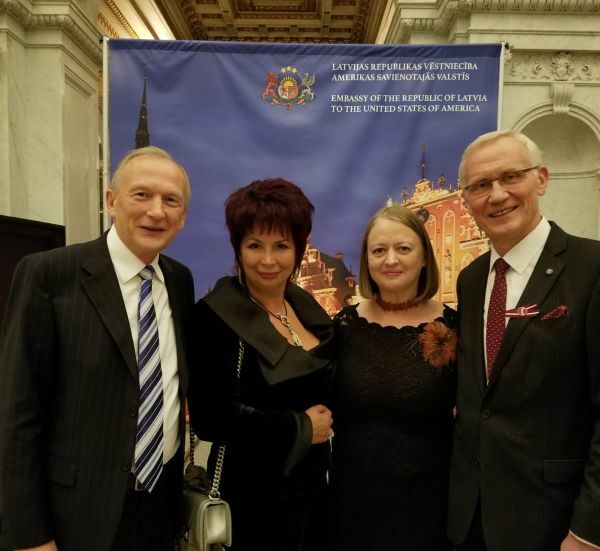 From the 16th to 18th of November in Washington, in the Library of Congress, the Latvian Embassy in USA organized a state reception and a concert dedicated to the centenary of proclaiming the independance of Latvia. The state reception was attended by the representatives of the US Administration, Congress, Department of State as well as the representatives of the Latvian business circles. Riga Aeronautical Institute was represented at these events by Ivan Kuznetsov, RAI President and Executive Director of Pelican Flight Training. Successful completion of the refreshment courses in RAI! Riga Aeronautical Institute has successfully finalized the summer - autumn cycle of the refreshment training courses scheduled for this year. The aim of these courses was to provide both theoretical and practical knowledge, information about the newest developments and trends. All refreshment courses also included the linguistic component. Refresher courses were conducted in accordance with the programs of "Air Traffic Management and Aviation English" and "Integrated course in CNS / ATM, Mode S and ATN technologies". Instructors of RAI Simulator Training Center, Pavel Ogromnov and Alexey Fjodorov, have confirmed their qualification and obtained new STDI (Synthetic Training Device Instructor) licenses which correspond to EASA requirements. The issued licenses give the right to provide complete simulator training course both for Basic ATC Training Course and rating ATC Training Course. We wish success and active work to our instructors!